We are a small jobs contractor. 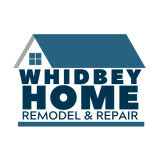 Any home repair and remodeling. 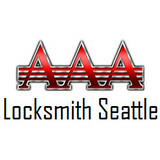 AAA Locksmith Seattle is a local locksmith company. We offer complete range of residential, commercial, automotive, and emergency locksmith services. All of our locksmith services in and around Seattle WA available 24 hours a day, 7 days a week. You can count on our locksmith team for fast, professional, and affordable locksmith services. Call us anytime for any question or service request. Jack Jack of Trades Construction & Remodeling, LLC is a 100% family owned and operated small business corporation dedicated to construction & remodeling. 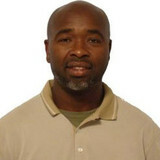 Jack Jack of Trades Construction & Remodeling is wholly owned and operated by Anthony Jackson. We are not a franchise, nor are we affiliated with any other company outside of the Jackson Global Enterprise Family. Our mission is to provide excellent quality services and to enhance the company's long-term value to its employees, our customers, and the environment we serve while continuing our tradition of absolute integrity, honesty and professionalism. Norm's handyman services provides full kitchens and bathroom remodels and handyman services from product installations to product assemblies. Assemble. Build. Install. We do it all. Handyman service specializing in retrofitting seniors homes so that they may live in them longer. Also handling handyman/repair work for busy families so that they can spend their quality time with family as apposed to working on the family home..
Tacoma Locksmith 24 is a local locksmith company in Tacoma WA. We offer full range of locksmith service for cars, homes, offices, and businesses. Call our Tacoma locksmith team 24 hours a day, 7 days a week for quick, professional, and affordable lock and key services. If you locked yourself out of you car/home/business, or you have lost your keys, or need to improve the security of your property, Call Tacoma Locksmith 24 ! Quick & Professional Mercer Island Locksmith Services When you need a professional, reliable, and affordable Mercer Island locksmith service, call our team for immediate assistance and FAST service. Our team is here to help you with any type of project and can take care of all your lock and key needs. We’re the Mercer Island locksmith you need to call when you have locked your keys in your car, need to install new locks around the home, or when you need locks rekeyed. We have a team of fully licensed, insured, and bonded locksmiths available 24/7 and pride ourselves on serving customers with a high standard of customer service, You cancount on us to take care of ANY Mercer Island locksmith job fast and make sure everything is done right the first time. From emergency situations to new locks installations, we are here to help! Bellevue Locksmith is a local locksmith company in Bellevue WA and serve residents and business owners in Bellevue since 2005, We offer complete lock and key services for cars, residential, and commercial. Our Bellevue locksmiths available 24 hours a day, 7 days a week for immediate locksmith service around Bellevue WA, and surrounding areas. Our locksmiths spread in the entire area and can get anywhere FAST! At Lakewood Locksmith 24 we offer full range of locksmith services for cars, homes, and commercial properties. Our professional locksmiths available 24 hours a day 7 days a week for all type of locksmith jobs. When you are looking for high quality locksmith services at affordable price, Call Lakewood Locksmith 24! Our locksmith services in Lakewood WA include: High Security Locks Master Key Systems 24/7 Lockout Services Mailbox Lock Replacement Access Control Systems All Types of Lock Repairs and Replacements Master Key Systems Commercial Lock Installation Keyless Entry Filing Cabinet Locks Desk Locks Replacement and Repair Automotive Lock Re-Keying Services High Security Locks Car Key Duplication Emergency Trunk Opening New Lock Installations Re-Keying Services Keyless Entry Systems Gate Lock Repair and Installation And More! I have over 12 years of home repair and Renovation Service. I offer everything from simply mounting a television to full remodeling services. I see this work as a collaboration between myself and you, the home owner, I enjoy working within your needs and your budget to create solutions. Pro Handyman Bellevue WA handles wide range of home repair and improvement works and variety of other handyman services in Bellevue. We specialize in plumbing, carpentry, flooring, drywall, interior and exterior painting, windows and doors, fence and deck installation, electrical, gutter installation, repair, cleaning and bathroom remodeling in Bellevue, Washington. No matter how large or small your home's problem is, our Bellevue handyman with the skills and expertise can fix it. What can a local Shelton handyman do? While home handyman services in Shelton, WA usually cover most of these things, sometimes it’s better to hire a specialized professional so do certain jobs, especially if it’s related to major plumbing or electrical fixes. Here are some related professionals and vendors to complement the work of handyman: Heating & Cooling Sales & Repair, Plumbers, Electricians, Roofing & Gutters. Find a Shelton handyman on Houzz. Narrow your search in the Professionals section of the website to local handyman servicesin Shelton, WA and read reviews and ratings to find one that fits your needs.